The 1NCE Lifetime Fee was developed for one purpose – to quickly enable IoT users to get their devices connected. 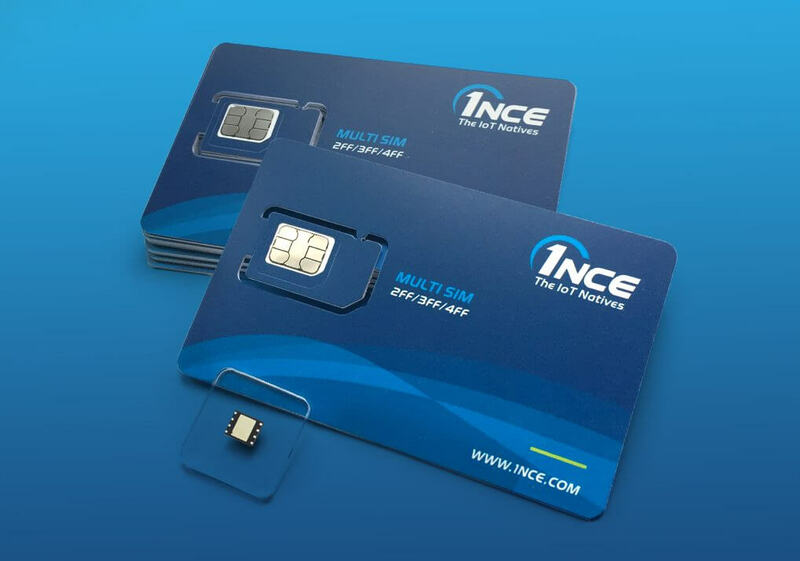 A simple phrase with a simple answer: 1NCE provides one tariff only, which includes all necessary features that IoT users require to start connecting their devices, such as data allowance, enough SMS, the costs for the SIM card, a secure data channel via VPN as well as seamless support of all radio standards like 2G, 3G, 4G but also NB-IoT or LTE-M*. 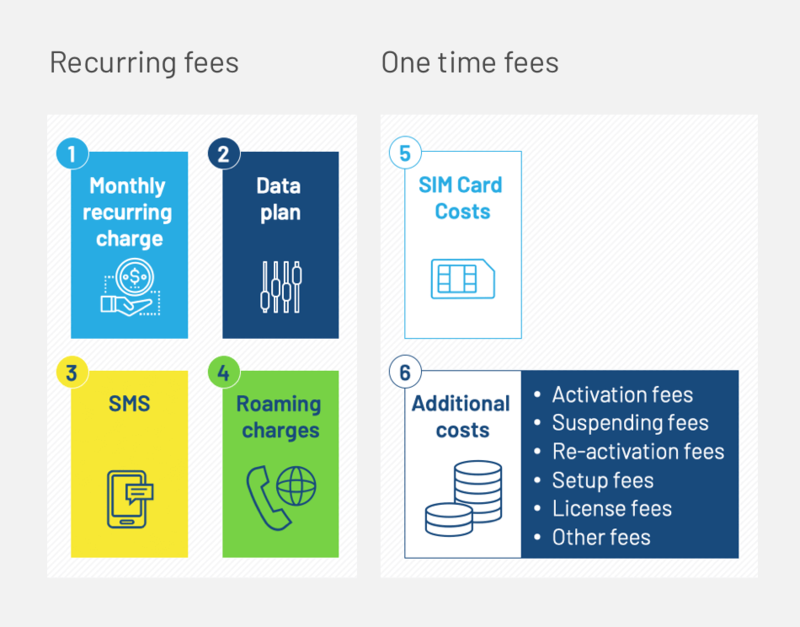 Still many of our customers are used to complex tariff structures, additional fees for roaming, data overage or SIM cards. They ask for dedicated MB prices or monthly recurring charges (MRC). Due to the fact that the 1NCE Lifetime Fee is a unique pre-paid business model it is not easy to compare the 1NCE pricing to traditional pricings which usually comprise of multiple and confusing cost elements. 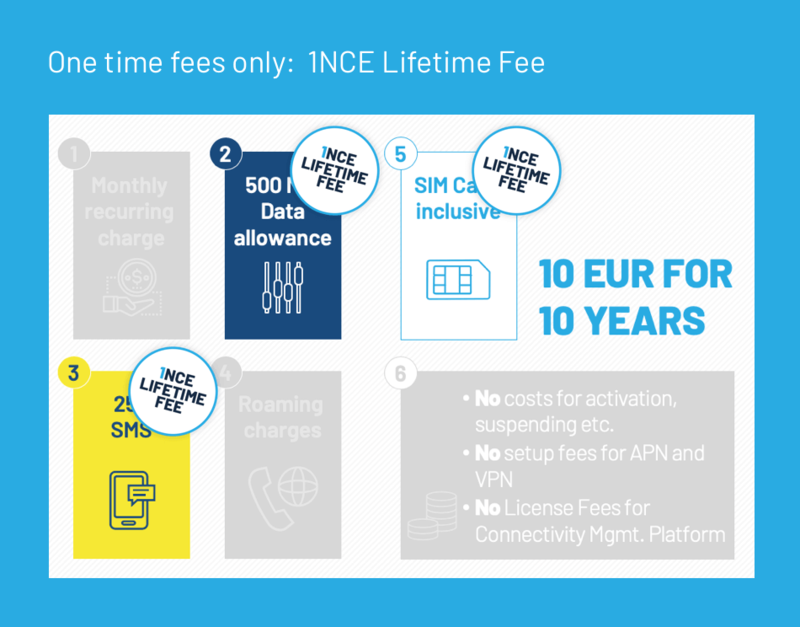 The 1NCE Lifetime Fee is an all-inclusive connectivity package that comprises all elements and features that IoT customer need while having their assets connected.